Are you a devilish witch with a soft side? Do you have a flair for dramatic entrances and seek to put fear into the hearts of everyone you meet? Is the leading reason that you need to bring vengeance down upon the wretches of the kingdom based on an ancient decree, a horrific betrayal from humanity, or even to teach a lesson in civil behavior when you've been kept off the guest list of the only party of the decade!? Then you may just be the witch we are looking for! Most witches out there have a pretty conventional beginning. "Hey, but I wanted to be the most beautiful person in the world!" Or, of course, "But, it was my cheat day and the kids practically climbed into the oven!" But, there is something to be said about the witch who has been rejected all her life, shows up to stir up some pretty epic trouble, and then walks away being more famous and beloved for it! It is time to show your magnificent glory and take the crown! 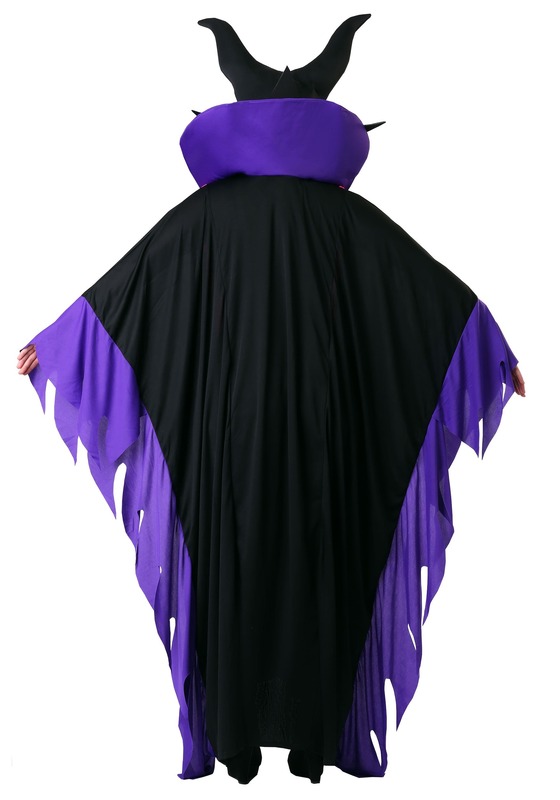 Transform into the only villain anyone will be talking about with this Plus Size Magnificent Witch Costume. 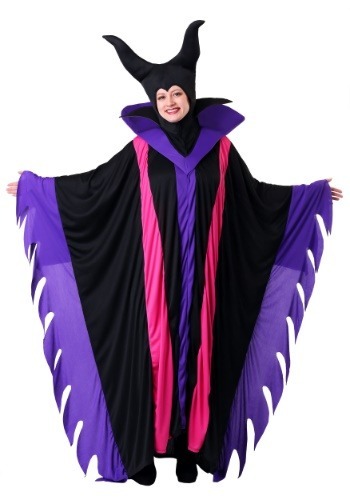 This costume comes with everything you need to become a powerful and enchanting witch for Halloween. The black pullover gown has wide draped sleeves for dramatic flair and the v-neck and stand-up collar show off intense felt spikes. The gown has two purple, crushed stripes down the front that look like a stole. The sleeves feature a purple fabric flame along the seams for added emphasis. The black hood covers the entire head and has stuffed horns on top and a widow’s peak at the forehead. It is not enough to show that you've got the stuff to become the queen of evil. You've also got to look the part and make sure that the party hasn't started until you have arrived! With this Magnificient Witch Costume, you can be certain that everyone will fear the idea of forgetting your invitation next time!